Femi Falana, human rights lawyer, says those who have cornered the country’s commonwealth should not be allowed to talk of restructuring. Falana made the submission on Wednesday when he delivered a paper at the Mike Okonkwo annual lecture in Lagos. He said former Vice-President Atiku Abubakar who is a leading advocate of restructuring has not addressed the issue of wealth redistribution. “The country has always been restructured by the ruling class and that the current structure was imposed by the fiat of military dictators. No doubt, the country is ripe for restructuring or power devolution but it cannot guarantee unity and political stability without the democratisation of powers and equitable redistribution of the commonwealth along egalitarian lines,” Falana said. “Restructuring without the equitable redistribution of the commonwealth will not promote unity or political stability. “A leading PDP presidential candidate, Alhaji Atiku Abubakar has become one of the leading proponents of restructuring. But his support for restructuring has not addressed the crucial issue of the redistribution of the national wealth. “After all, in his capacity as the nation’s vice-president and chairman of the National Council on Privatisation, alhaji Abubakar presided over the restructuring of the nation’s economy through the liquidation of public assets and the privatization of the commanding height of the economy. He said Nigerians must demand an end to a policy that allows political office holders and civil servants who constitute less than one percent of the population to continue to allocate 70 percent of the country’s resources to themselves. 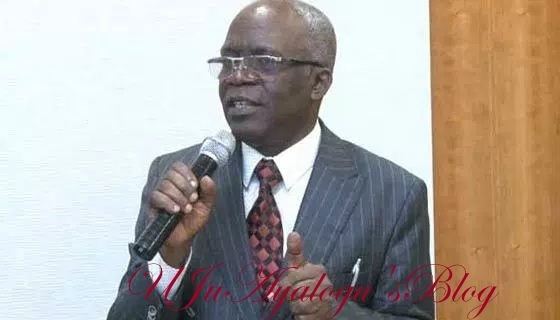 “If the federal government could withdraw $12.4 billion from the foreign reserves to pay questionable external debts and subsidize the local bourgeoisie with intervention funds running to trillions of naira it cannot turn round to complain of lack of fund to fix collapsed social infrastructures, education, health transportation and agriculture and create jobs for our army of unemployed youths,” Falana said. “The recovery of the stolen wealth of the nation from foreign and local thieves should be a collective battle while the fund recovered from corrupt public officers and their privies is spent on job creation and fixing of hospitals and schools as well as the provision of other social services.